Congratulations to klgossia for winning LOTW! 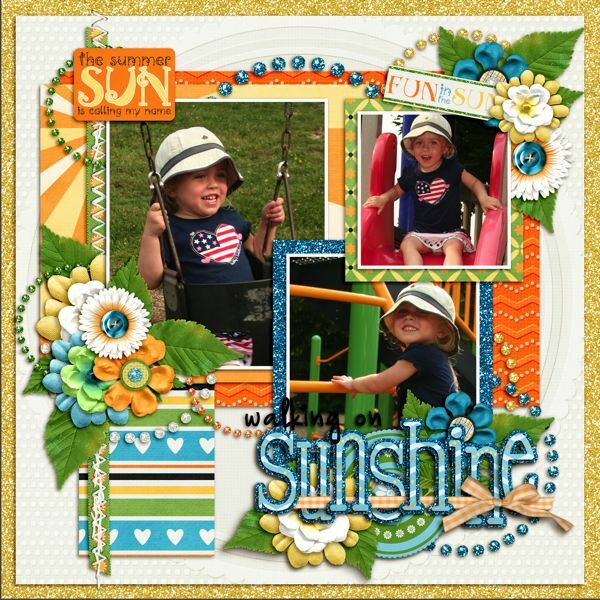 I love the summer feel to this layout, cute pictures, and the great clusters! Click on the image to leave her some love or click here to view her entire GingerScraps Gallery. This layout was created using an awesome template created by North Meets South Studios!